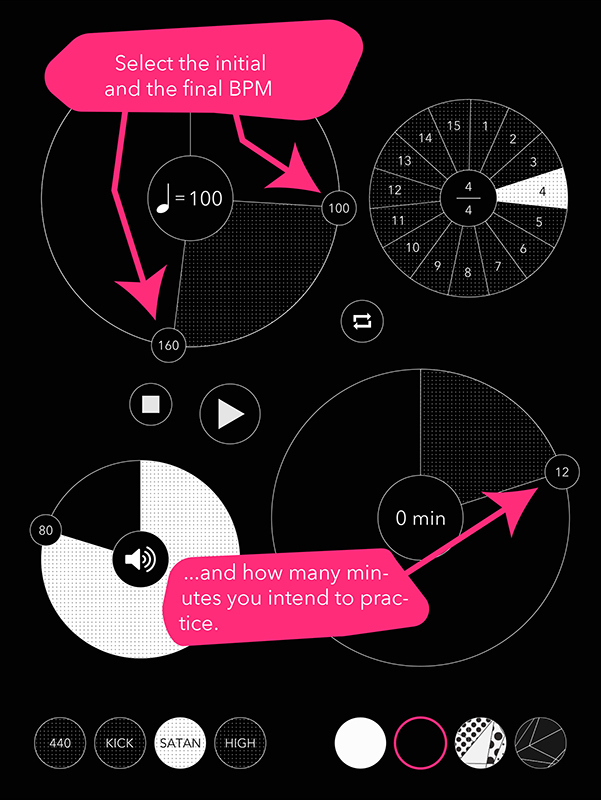 If you’re looking for something to help you improve your musical practice, look no further. 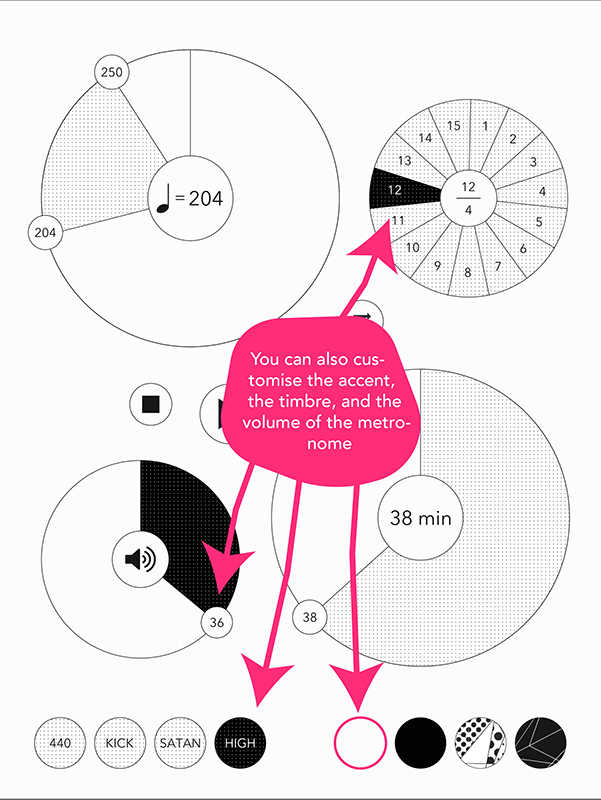 +tempo is what you’re after: the most unique metronome in the AppStore, and the only one that has been specifically designed to help musicians improve their speed. When learning to play a difficult piece, musicians usually start at a slow, easy tempo and then gradually accelerate. This approach requires you to stop, take your hands off your instrument, adjust the speed of your metronome, and start playing again. +tempo will do that for you. Beat after beat, an original algorithm will gradually increase the BPM by an imperceptible amount, allowing you to learn to play the piece at hand at your desired tempo. All you have to do is set an initial BPM you are comfortable with, your target BPM, and the total time of your training session. 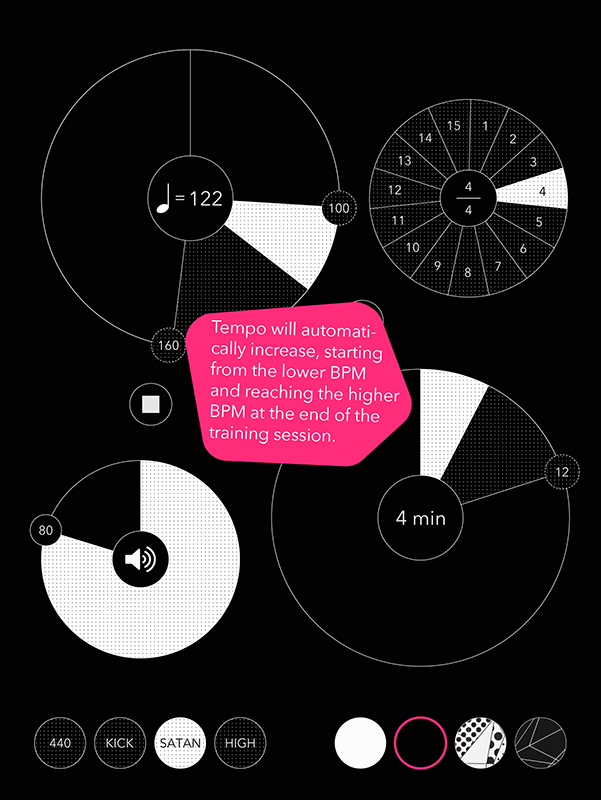 +tempo will linearly increase its speed over the period of the training session with impressive accuracy. Finally, if you want to unlock extra features, you can purchase a customisation pack (accent, theme, sound, and volume) as in-app purchase. This tool is a must-have for all musicians.